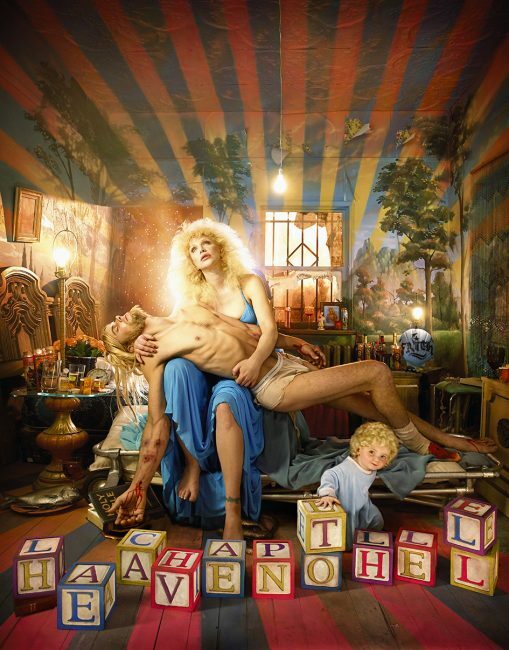 From celestial images to selfies, the 12th Ballarat International Foto Biennale pools together a program of over 100 exhibitions from local and international artists, including David LaChapelle. TELL, an assemblage of photos showcasing the work of 17 contemporary Indigenous photographers, including Maree Clarke, Bindi Cole Chocka and Warwick Thornton. Maziar Moradi’s emotive exhibit Ich Werde Deutsch (I Become German) looks at the personal journeys of young immigrants in Germany. Rearranging Boundaries amalgamates the work of documentary photographers and visual activists from some of the most controversial corners of the planet. Self/Selfie creatively investigates 21st century autobiographical documentation and narcissistic culture. A Field Guide to the Stars leads visitors through a constellation of photomedia at Ballarat Observatory. Curated by Michelle Mountain, Reverie Revelry is a survey of mid-20th century fashion photography, including that of Bruno Benini alongside other contemporary artists and photographers. For the first time, the Biennale will feature a free Public Outdoor Program displaying the work of Iranian photographers Shadi Ghardirian and Gohar Dashti. Exposing gender and social issues in Iran, the photographs prompt a feminist dialogue with images that contradict the social norm in Iran, such as women in traditional clothing standing with mountain bikes. In celebration of their 150 year anniversary, The Courier in conjunction with BIFB will present The Courier: 150 Years Of Telling Ballarat’s Story, highlighting local photojournalists and the events which shaped Ballarat’s history. The 2017 program also incorporates guided workshops, talks, portfolio reviews and the Martin Kantor Portrait Prize, as well as over 90 fringe exhibitions presented at more than 70 venues across Balart. The Ballarat International Foto Biennale will take place over 30 days from August 19, to September 17, 2017. More information and tickets can be found here.